I love the look of aged/antiqued fabrics. 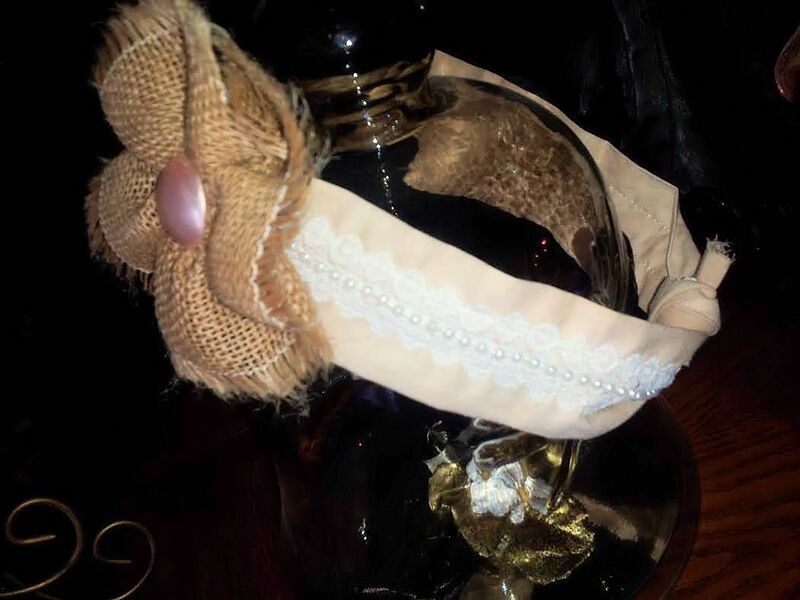 From pillows to headbands and all things between. Who would like to rummage through their grandmother or great-grandmother’s old trunks or cabinets to see what you can find to re-purpose into something for the 21st Century? I know I would. If only I could go back in time and hang onto some of those old items. I think about all the chenille bedspreads I have seen over the years. The quilts from years gone by. I do have a few of those from the hands of my very own great-grandma. I won’t be parting with them any time soon. The things I could put together today from things of the past! So fun to think about. This blog is to introduce you to the simple process of tea-dying fabrics or what I like to call “aging” fabrics. I forget not everyone is fluent in craft. I take for granted that I pick ideas up easily. I figure if I can do it…anyone can. Not necessarily true. So with that said, I think this is something easy to start off with. 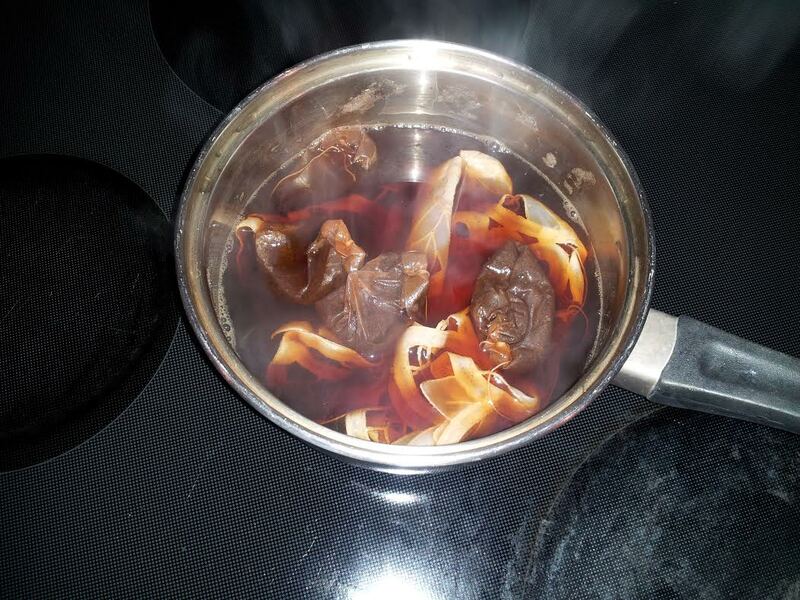 Following is a simple step by step how-to for tea dying your own fabrics for those lovely aged items you want to make. 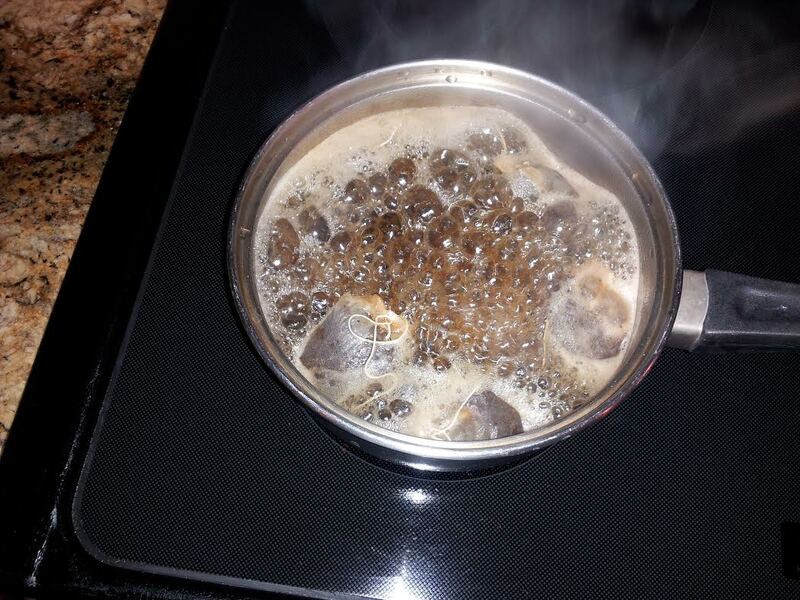 Start by boiling the tea bags in enough water to cover your fabric. Ahh smells so good! Once it is boiling turn it off and move off heat source so it stops boiling (I have an electric stove so it stays hot forever!). 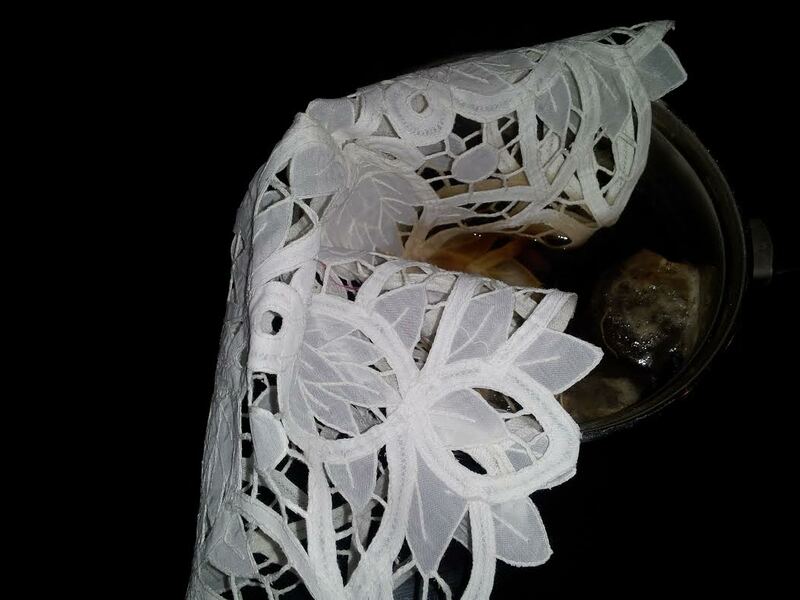 Add your fabric (or lace doily as I am using here) and push it under the tea (use a spoon not your fingers). You will want to let it sit for at least 20 minutes. Longer if you want it darker. You can always put it back after you see how dark it is. Cotton fabrics turn best. Poly blends don’t turn as easy. Some fabrics may not turn much at all. Just test it if you are not sure (rinse under cold water to see how dark it is). Leave in longer and test again. Once you get the desired affect rinse it under cold water. Use a spoon here, again, don’t burn yourself! It can still be very hot until you get enough cold water on it. Don’t pour out the tea until you are sure you are done dying fabric. Look around your house or craft room, you might have missed something that would look good aged. 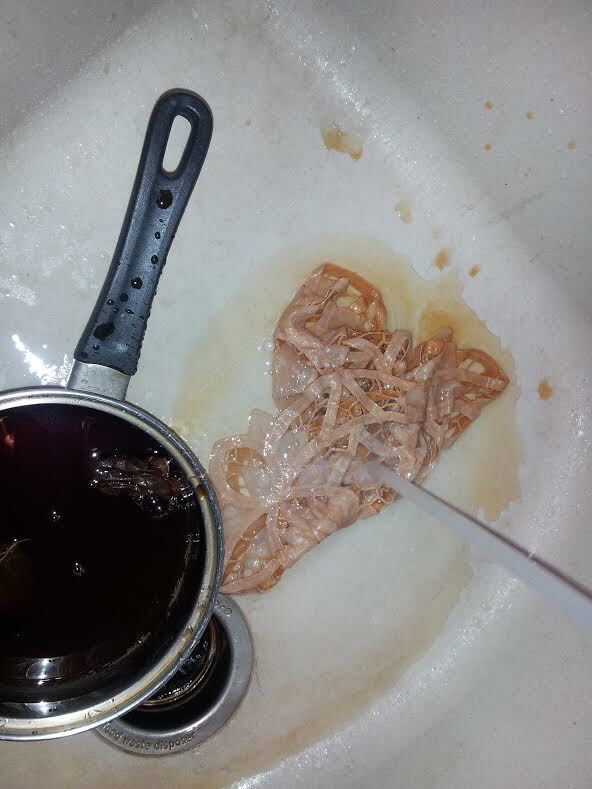 After I have rinsed it under cold water until the water runs clear, I squeeze it in a towel to dry it. Then lay it out flat to dry completely. If you need it for a project right away (which I usually do!) you can put it in the clothes dryer for a few minutes to finish drying it. I would make sure it is alone in the dryer just so it doesn’t get tea on something you don’t want tea on (just to be on the safe side). 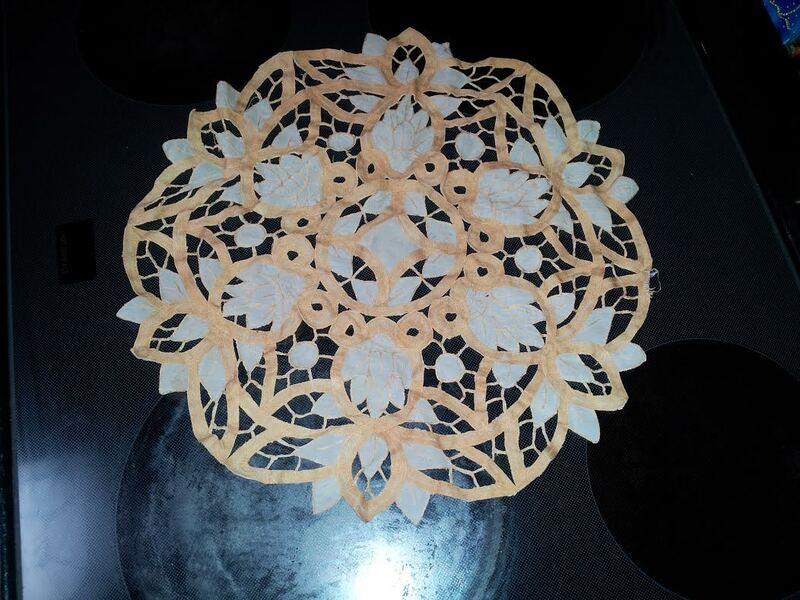 I think this doily turned out pretty neat. 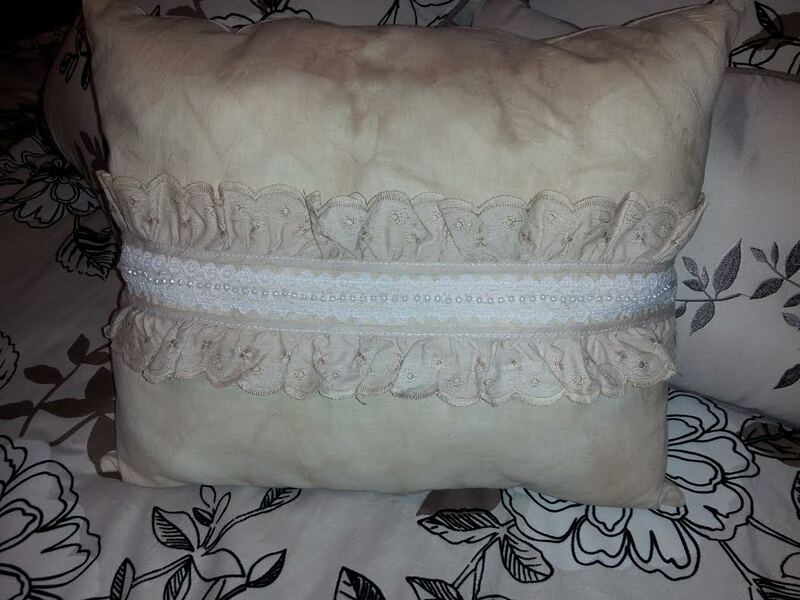 It has some poly (or other fabric, not sure what) in it and that would be why it is two different colors. I like the variation in the design. I may be using this in a picture frame as a back drop so the color will work perfectly. Now go dye something and let me know how your first tea-dying job goes. Then show me the project you made with it! 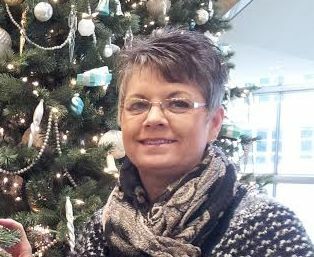 Writer, crafter, wife, mother, grandmother, kitchen experimenter and lover of Jesus. Through life's ups and downs, I've found crafting calms me or so I like to think! Join me as I show you how to make some fun stuff for your own life and home. Encourage you to try some amazing recipes to help you branch out into eating healthier. Give you that small, needed push to try something new.